He did the mash he did the monster mash! 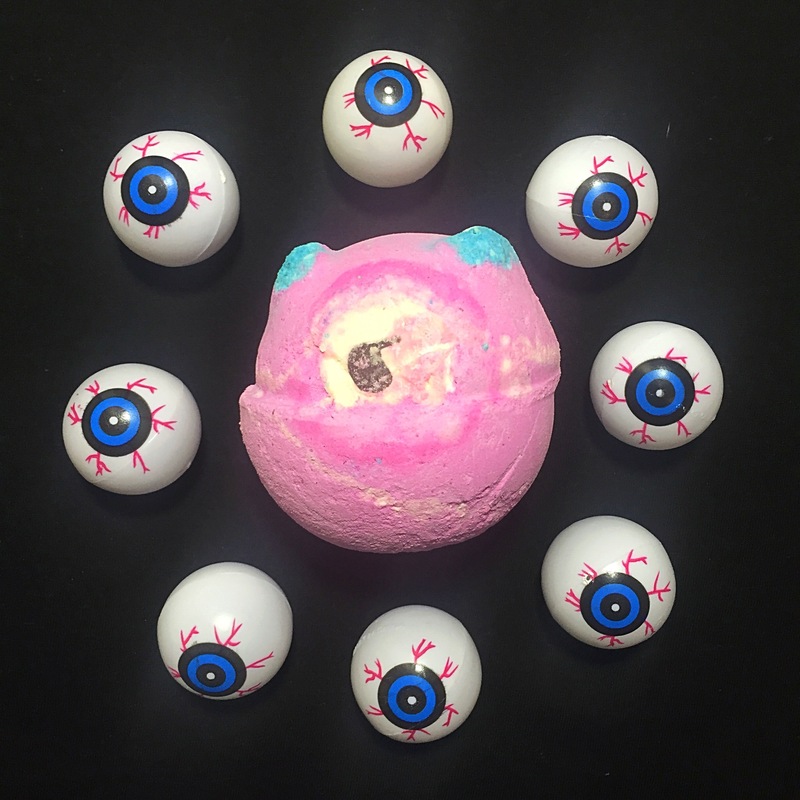 This more cute rather scary Monsters’ Ball bath bomb is inspired by all the great monster movies everyone loves. The design really does capture the essence of Halloween, and I can see it being a firm favourite of both adults and children this Halloween. Once again like many of this years Halloween products the Monsters’ Ball is scented with the much loved Calacas scent. 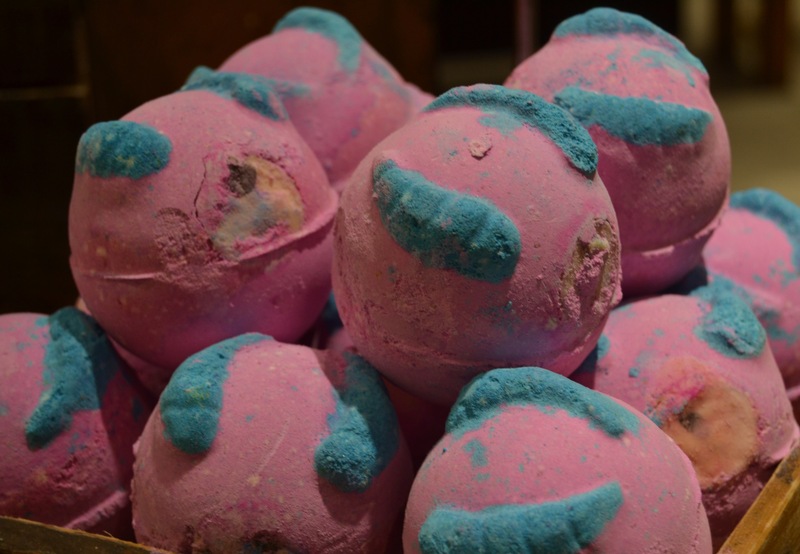 Featuring lime oil and neroli oil the Monsters’ ball bath bomb is a zesty, sweet and fruity scent. The scent is very uplifting and is great for getting you going when you feeling a little like a monster yourself. The scent of this product will also help you feel refreshed and ready to brush away all those cobwebs that are keeping you from feeling your best. If the scent of the product isn’t enough once popped in the water you are in for a real treat. 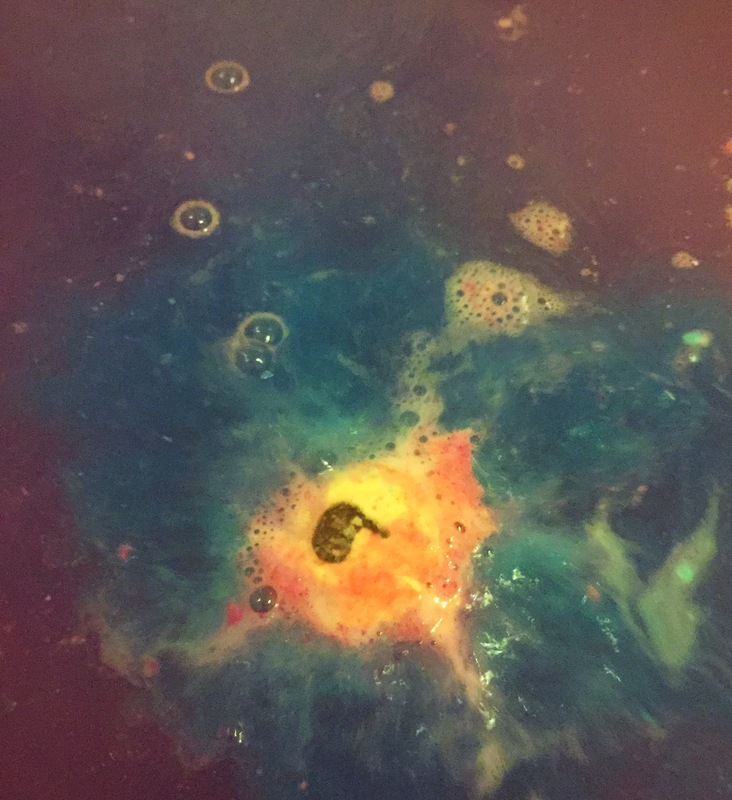 If you love making lush bath art you are going to love the show that this bath bomb puts on. As it’s fizzes away in the water it creates beautiful purple waves which are then followed by swirls of blue. Once this has all mixed together the colour of the water is the most wonderful shade of purple. As of recent lush have been including the bath melt/bath oil concept into a lot of their bath bomb products. I absolutely love it when they do this, as this inclusion of the butter and oils creates an extra moisturising bath. 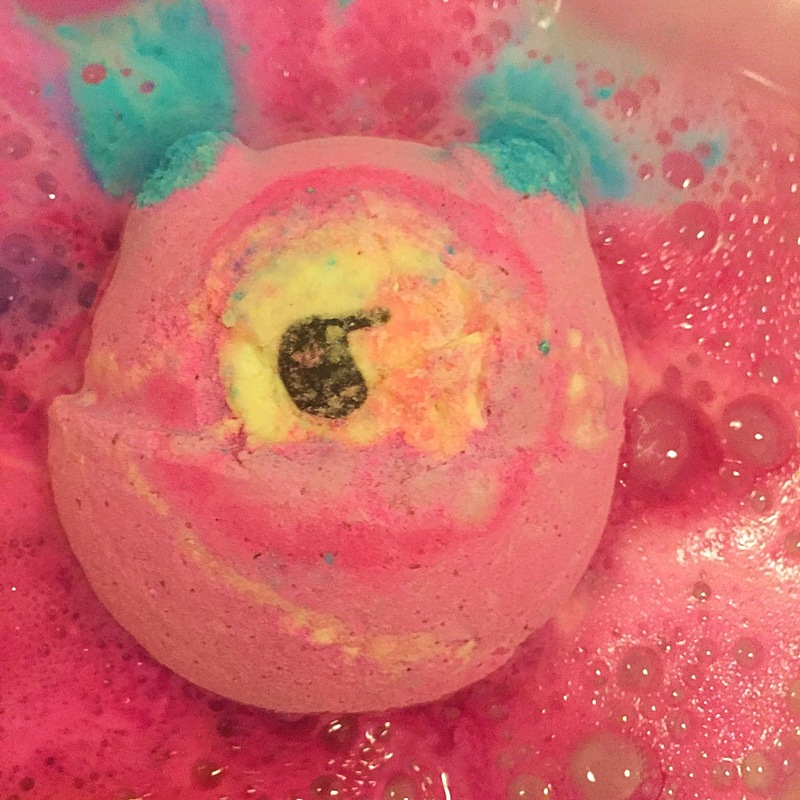 The Monsters’ Ball bath bomb has a little eye made out of organic cocoa butter. Once the bath bomb has fizzed away this little eye floats on the water slowly melting and releasing its moistening goodness into the water. Overall I think this bath bomb is going to shoot off the shelves this Halloween. 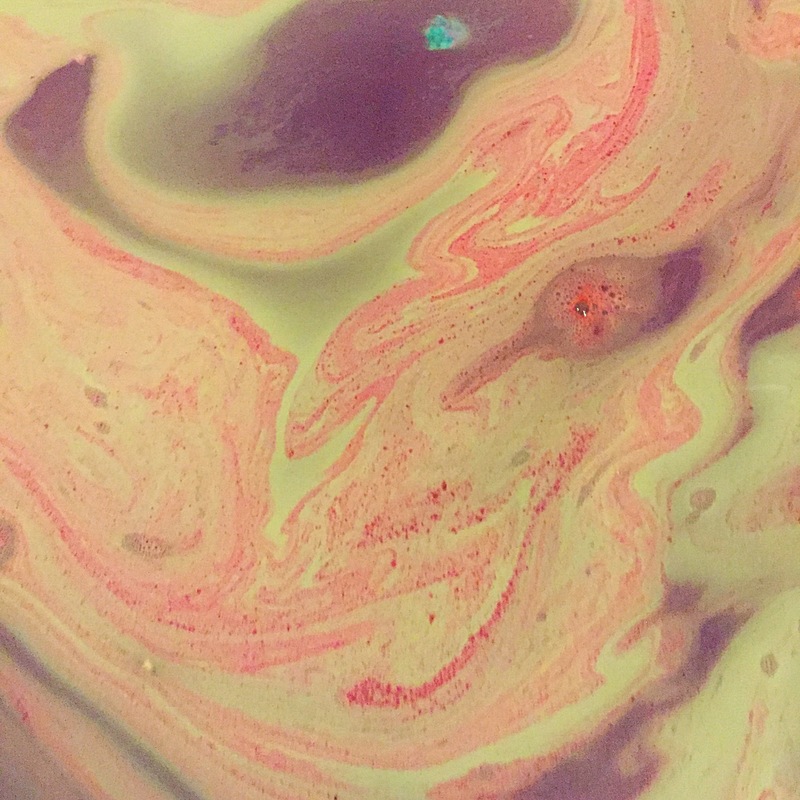 The scent really is gorgeous and ever so zesty and I really did enjoy the moisturising qualities of the Monsters’ Ball bath bomb. INGREDIENTS: Sodium Bicarbonate, Citric Acid, Himalayan Rock Salt, Fragrance, Lime Oil, Neroli Oil, Olibanum Oil, Cream Of Tartar, Fair Trade Cocoa Butter, Titanium Dioxide, Sodium Laureth Sulfate, Lauryl Betaine, PEG-6 Caprylic, Caprylic Glycerides & PEG-80 Almond Glycerides, Propylene Glycol, Citral, Limonene, Linalool, Alpha Isomethyl Ionone, Benzyl Salicylate, Hydroxycitronellal Blue 1, Red 27, Red 33, Red 28, Vegan Dark Chocolate. I love this one! Great review.